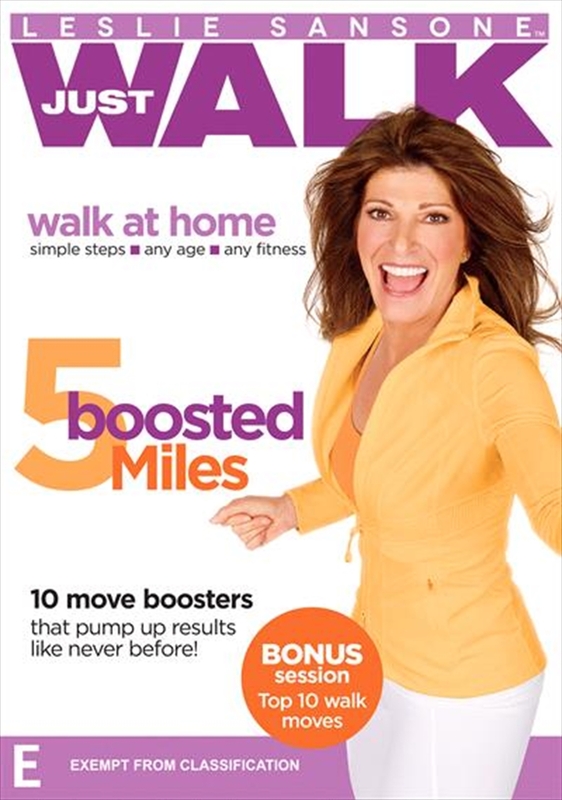 This is where Leslie shows you the Top 10 walk moves and teaches you how to boost each one. After that, you can dive right into the 5 milesin any way that you like. You can walk a gentle mile and then a boosted mile. You can walk two miles without boosting anything and then boost the next two. Or you can even opt to boost only some of the moves within each mile. You have the freedom to do whatever is right for you! Walkers that range from beginners all the way to advanced can all get a great workout! And with the five different 1 mile sessions, you can also customise your workout time. If you have 30 minutes for your Monday walk, you can do two miles. If Tuesday is busy, sneak in a single 15 minute mile to keep yourself on track. Then for the days when you do have the time and the energy, you can walk all 5 miles and boost away!